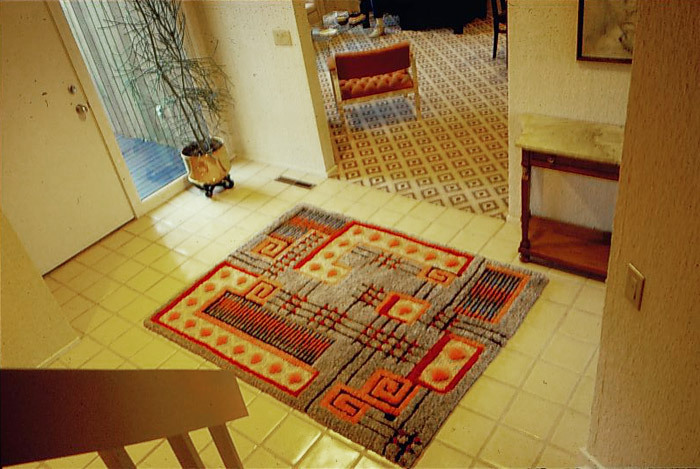 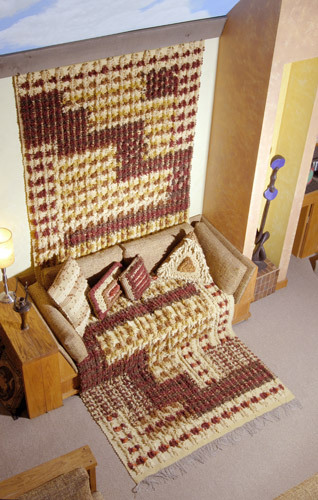 Weaving rugs was my first love at Cranbrook. 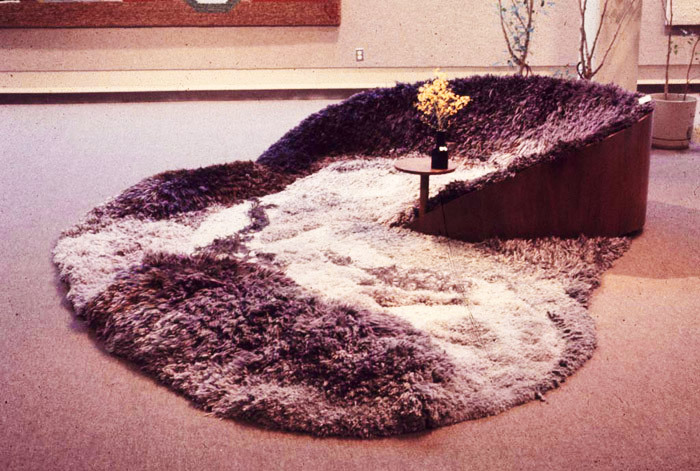 I created large environmental rugs that you could enter into. 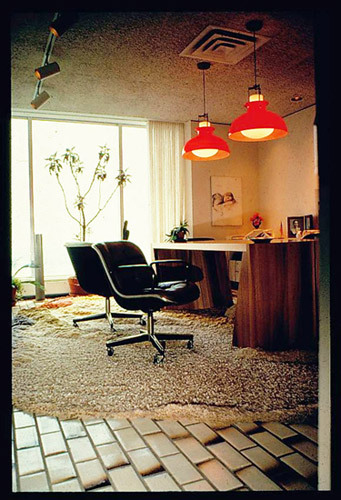 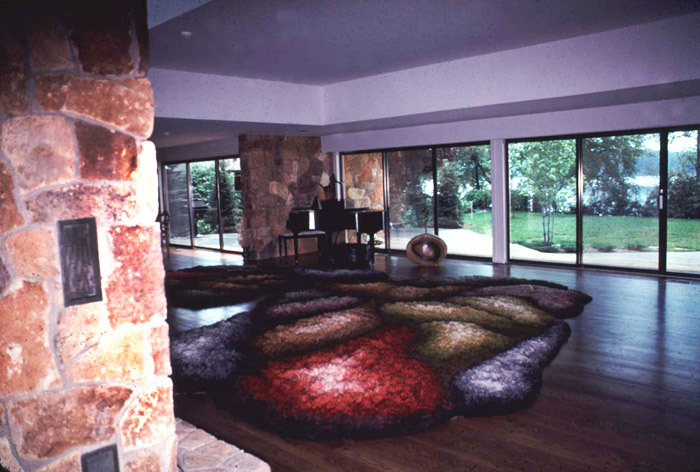 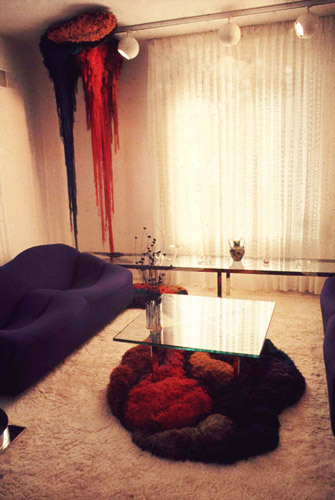 I have also created room-size rugs and area rugs custom to the space and colors of the rooms that they were made for. 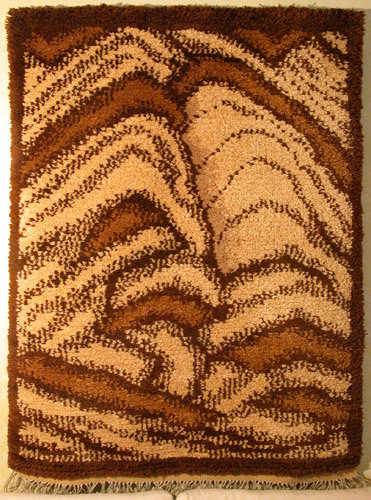 My rugs have been inspired by the surface and texture of the ground. 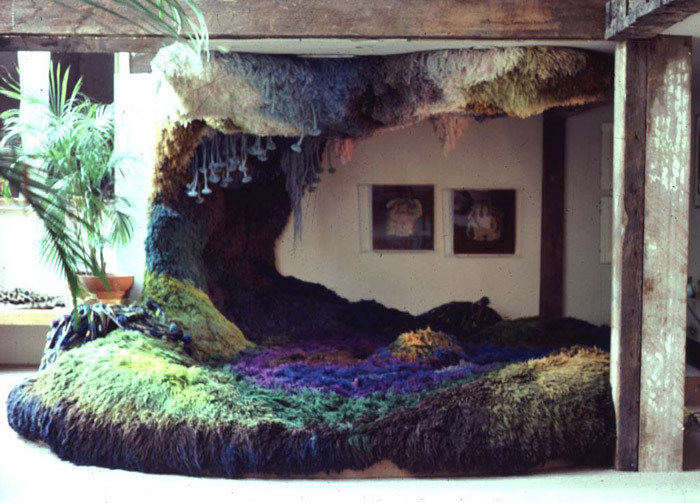 They are like miniature landscapes.